Over the centuries, coffeemakers have undergone revolutionary changes. In the past years, we’ve seen a variety of coffeemakers, from the vacuum coffeemaker to the french press and now, the single-serve Coffeemaker. 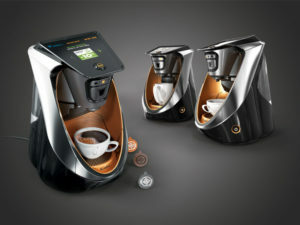 The single-serve coffeemaker was created by Keurig, Inc., in 1998. It gained popularity and soon companies like Nestle, Bosch, and Lavazza followed suit. Despite choices in types of blend and flavors, coffeemakers allow users limited control over their brew. 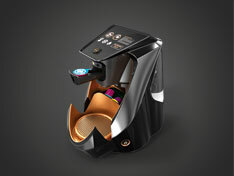 Ernesto Rosales, a Peruvian designer has come up with the concept of the Kallpa Coffee Machine. This single-serve coffeemaker has an inbuilt QR Code reader in the capsule feed tray and the coffee capsules have QR Codes printed on them. This design has won the Reddot 2016 award for the best concept. When the coffee pod is placed in the capsule feed tray it is immediately scanned by the machine. 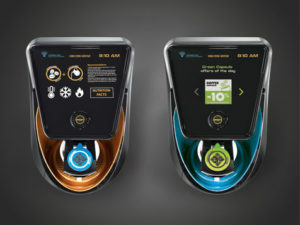 The machine decodes the QR Code and users can view information via a touch screen over a Wi-fi connection. They also get an option to customize their coffee. Allows users to set up a personal calendar to track patterns of consumption by amount, type of coffee, etc. Moreover, the QR Codes also display advertisements and promotional offers from coffee producers. The product is still in conceptual stage so it is uncertain when it will be put into action. Also read—food and beverage QR Code. What are your views on this unique idea? Share your thoughts in the comments section below.